Geoff Harvey, the composer who wrote the soundtrack to some of Australia’s most popular shows, has died at the age of 83. Born in the United Kingdom he came to Australia after World War II and produced records for EMI. He joined Sydney’s TCN9 in the early 1960s. He worked on variety shows like Bandstand, The Sound Of Music and The Tonight Show. 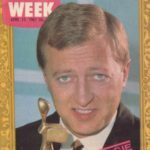 But it was his work on The Mike Walsh Show and its successor Midday that made him a household name in the 1970s through to the 1990s. 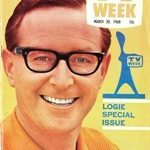 As Nine‘s musical director he composed the signature tune to various Nine programs but his most famous was the theme to The Sullivans. He worked on The Don Lane Show and the TV Week Logie Awards. 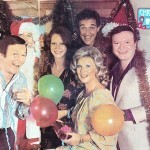 For almost twenty years he was the musical director for Carols By Candlelight. 25 December 2015 Merry Christmas! what a loss to the entertainment industry. I remember him from the Don Lane days on TCN9 . Last time I saw him was late seventies on Midday Show. I was in audience, my first trip back since leaving Nine in sixties. 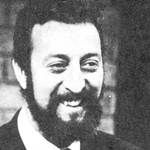 Geoff was a wonderful composer and musician – think he may have done work on Bobby Limb’s Sound Of Music. His wife worked in the office and got me the tickets for the show and to look over the studios. Now I believe TCN moving to new premises – times change but we have memories of good times in television with pioneers such as Bruce Gyngell, Alec Baz, Ron Haynes and Les Free.